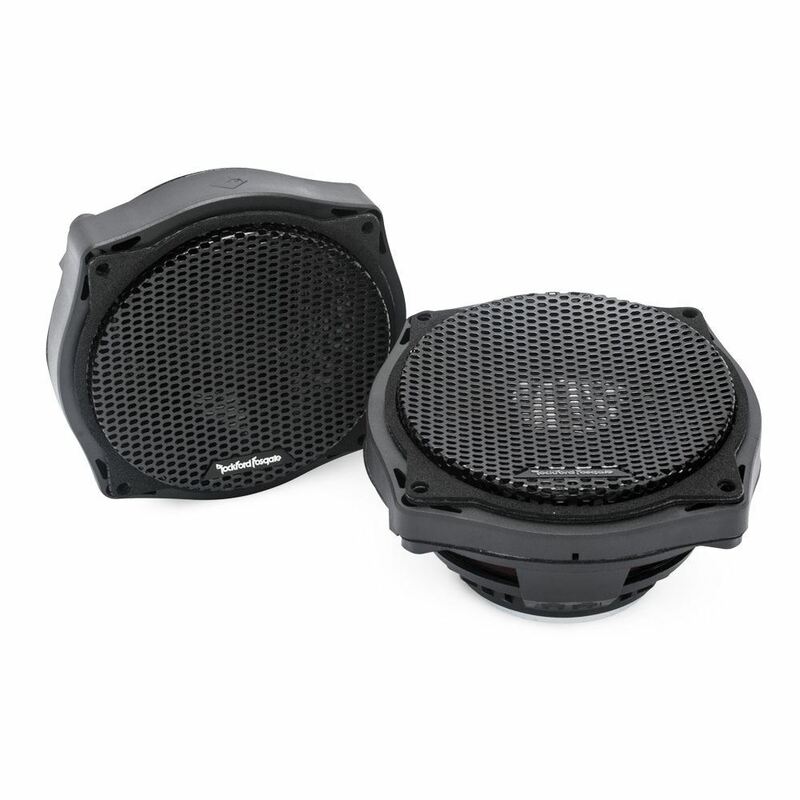 The TMS6SG is a full range coaxial speaker designed to fit the fairing speaker locations of the 2006-2013 model year Harley-Davison® Street Glide® Motorcycles. It features a Neodymium motor structure driving a co-molded, reinforced polypropylene cone with Santoprene surround. It also features an ultra-efficient 25mm dome tweeter with integrated phase plug and is made water/weather resistant with the addition of a Santoprene front isolation spider connecting between the tweeter housing and cone assembly. The speaker mounts using the factory hardware and comes with new grille assemblies.